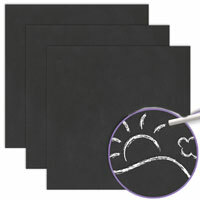 Pack of three sheets of black chalkboard paper, measuring 15cm x 15cm. 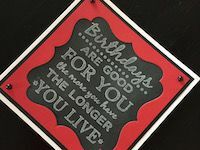 Draw or write on this paper with our chalkboard marker for an instant chalkboard or blackboard effect, use it for cards, gift tags or home decoration. Acid free, 230gsm.